Speedo's footwear is developed for confidence and comfort around water. 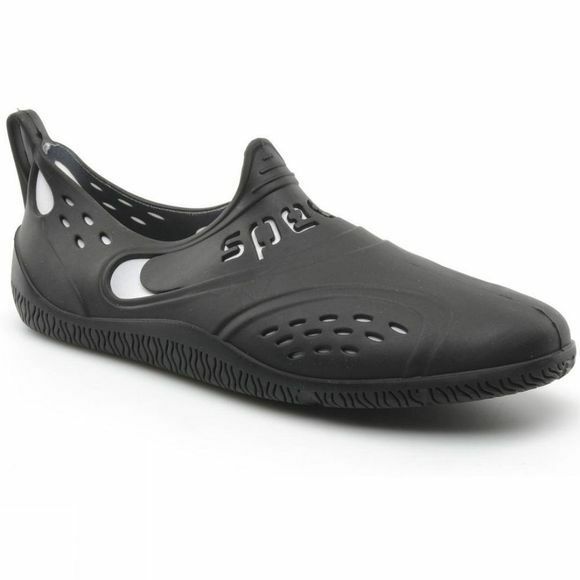 Using an ergonomic fit Speedo has ensured that every piece of their footwear fits the foot properly. Ultimate grip, ensures maximum traction in both wet and dry environments so that you feel confident and secure. With lightweight water-repellent materials and naturally anti-bacterial materials, the Zanpa ensures your feet stay fresh, wear after wear.